Photo by Andy Frizzell, no reproduction without permission. 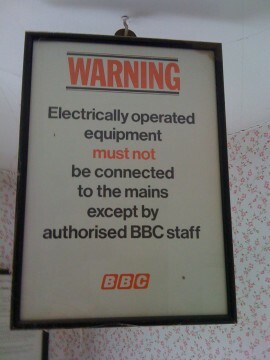 This sign was salvaged from BBC Pebble Mill, before the building was demolished, and rehomed. 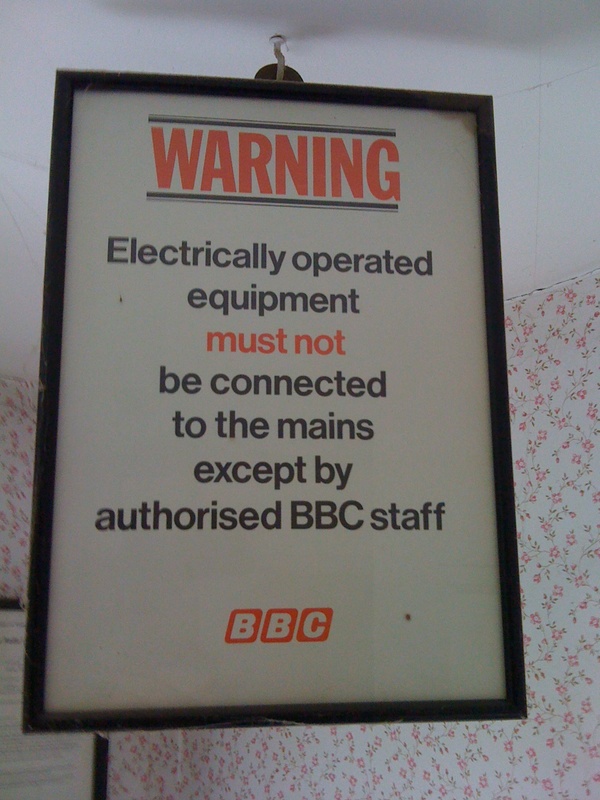 It used to hang on the wall between the inner and outer doors of studio A (airlock) nearest the Foyer. There must have been others at the other entrances. Judging by the BBC logo it must have been there from the day the studios opened.